Is Common Law Marriage Valid in Oklahoma? The answer is yes, under the right circumstances. 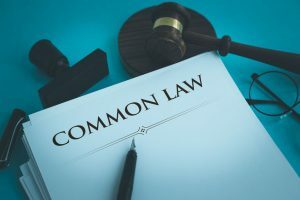 A handful of states, including Oklahoma, recognize common law marriages, something a Muskogee common law marriage attorney can help with. The issue of whether a common law marriage exists often arises at the other end of a relationship, as the couple is looking to separate, or when a partner dies. It is at those times that issues of division of property and inheritance of property arise. It is also at those intersections that a person’s status changes — usually from married to single or widowed. And while it is easy to live together for a protracted period of time without a formal wedding ceremony, if you and your partner hold yourself out to the community as married, it may not be so easy to unwind the relationship. You may need to go through a formal divorce. These cases are normally quite tied to the facts and circumstances of the couple’s interaction with each other and with the community at large, which can make things complicated. Your Muskogee common law marriage attorney can answer your questions and help you protect yourself and your assets. Contact an experienced Muskogee common law marriage attorney at the Wirth Law Office – Muskogee for a free consultation today at (918) 913-0725, or call toll-free at (888) 447-7262. What Makes a Common Law Marriage Arise? Whether you are looking to protect your assets and rights in divorce, or looking to establish inheritance rights at the death of your partner, it is likely that the issue of the validity of your common law marriage will be decided in court, either in the midst of a divorce proceeding or a probate proceeding. Because there is no marriage license or certificate, the court has to look at other factors to determine whether a couple intended to enter into this contractual relationship. Legal capacity to be married. The parties must be of legal age and not otherwise married at the time they enter into a common law union. Living together as a married couple. This can be shown in a number of ways. Holding yourselves out to the community as a married couple. Because these cases are fact-bound, every fact matters. Your Muskogee common law marriage attorney knows what facts the court will find more persuasive, and which less persuasive. For example, if you refer to your partner as your husband or wife, the court may find that fact indicative of your intent to be married. Sometimes courts find the filing of joint taxes, the holding of real property — either as community property or as joint tenants — with the right of survivorship, owning other joint assets such as bank accounts, brokerage accounts and the like as joint tenants, to be persuasive of the intent to be married. If the judge rules that a common law marriage exists, all of the regular duties, rights and privileges of marriage adhere to the relationship. That means that if you are seeking to end the relationship, and obtain support from your spouse, you will need to go through a formal divorce proceeding to both end the relationship and to obtain spousal support. If you are seeking to divide property or assign debt, you will need to go through a formal divorce. Divorce severs the financial relationship between a couple. If your spouse incurs debt after the divorce, you will not be held liable for that debt. But all debt incurred by either spouse during the marriage is the debt of both spouses. Finally, once your divorce is final, you will be free to remarry if you choose, and a formal divorce can also provide protection for your estate after you die. Divorce and death are difficult transitions in the best of circumstances. When you add the complication of whether you were legally married in the first place, a difficult transition can seem impossible. You don’t want to try to handle this kind of proceeding on your own, especially when emotions run high. To that end, the services of an experienced and compassionate Muskogee common law marriage attorney can bring both comfort and reassurance. Your attorney can help answer your questions, and can help you every step of the way during this difficult time. Get the help you need. Marriage affects almost every aspect of our adult lives, from children, to retirement planning, to the purchase of a family home. All of these issues can be made more complicated by a common law marriage. Contact the Muskogee lawyers at the Wirth Law Office – Muskogee for a free consultation today at (918) 913-0725, or call toll-free at (888) 447-7262.